We spend over 30 percent of our lifetimes sleeping—yet it never seems like enough, does it? Distractions ranging from work issues to personal relationships keep our minds racing well after they should be shutting down for the night, and the onset of smartphones has only added to this problem with the instant information and easy entertainment that they offer. Rather than allowing your Android device to magnify your isomnia issues, there are quite a few ways your phone or tablet can actually help you sleep better at night. With high-tech approaches like sleep cycle tracking, ambient noise cancellation, and circadian rhythm preservation, you might finally find that perfect night's sleep with your handheld gadget. As humans, we naturally tend to fall asleep when the sun goes down, and wake back up when it rises again in the morning. Our brain takes cues from the bright blue sky to know when it's time to be tired and time to wake up—and this is called the circadian rhythm. The trouble here is that we use our electronic devices well into the evening hours, which tend to confuse our brains and disrupt our circadian rhythms with the bluish light they emit. Much like the desktop program called f.lux, an Android app called Twilight can help preserve your circadian rhythm by applying a blue-cancelling filter to your device's screen. It will mimic the light found in nature by steadily decreasing the blue light being emitted by your phone's display as the sun begins to set, allowing your brain to "think" it's actually night time for once. 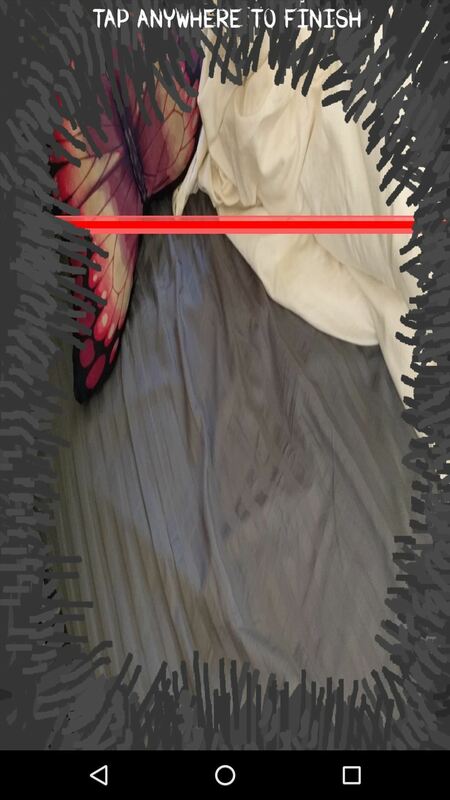 You'll have to provide your location so that Twilight knows when the sun sets in your area, and you'll also need to choose the strength of the blue-cancelling filter. Don't worry if that sounds complicated, though, because Neil's got you covered with a full guide here. The only real downside to Twilight is that it can't cover up your on-screen navigation keys with its filter. If you're a rooted user, though, an app called CF.lumen from developer Chainfire can change the color temperature of your entire screen. CF.lumen does have quite a few powerful settings, which might lead to a bit of confusion. But that shouldn't be an issue if you check out our full setup guide, which will get you up and running in no time. If the name Michael Stipe rings a bell, then you're surely familiar with the term REM. But of course I'm not talking about the band here, rather the portion of our sleep cycle known as Rapid Eye Movement. This is when we get our most restorative rest, and it also happens to be the worst possible time to wake up to an alarm. 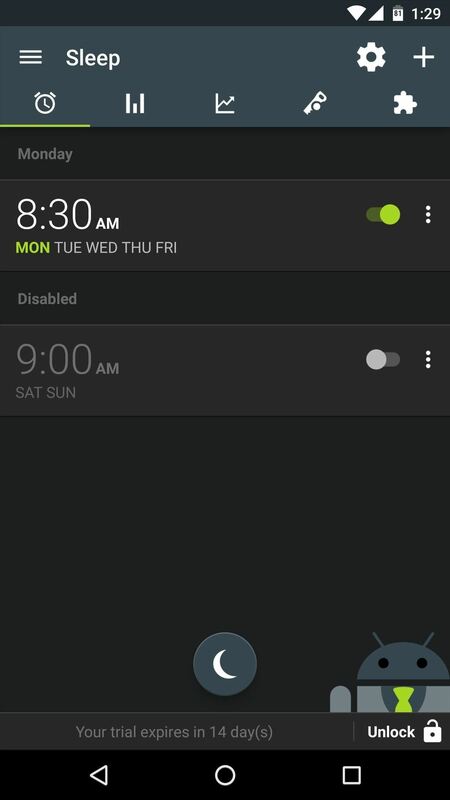 Knowing this, the Urbandroid development team created an alarm app called Sleep as Android that will track your sleep stages using your phone's internal sensors. It makes sure to leave you alone while you're in REM mode, but gently wakes you to an alarm when you're in your lightest sleep phase. It's actually pretty ingenious—you simply choose the latest possible time you'd like to wake up, then plug in your phone and leave it next to you on the bed. From here, Sleep as Android will detect any snoring or tossing and turning, then use that data to determine what sleep cycle you're in. As your alarm time is approaching in the morning, the app will wait until your lightest sleep cycle—when waking up is the easiest—before playing a gentle tone that gradually increases in volume. The human brain might just contain the world's most advanced pattern-recognition software—think of how quickly you can spot a familiar face in a crowd with just a glance. The same holds true for sounds, so if our ears sense a sequence in a series of random noises, our brains instinctively jump back into full-power mode to match up that bump in the night with any known risks. Instead of losing sleep to this hard-wired response, try masking any random ambient sounds in your bedroom by installing a white noise app. 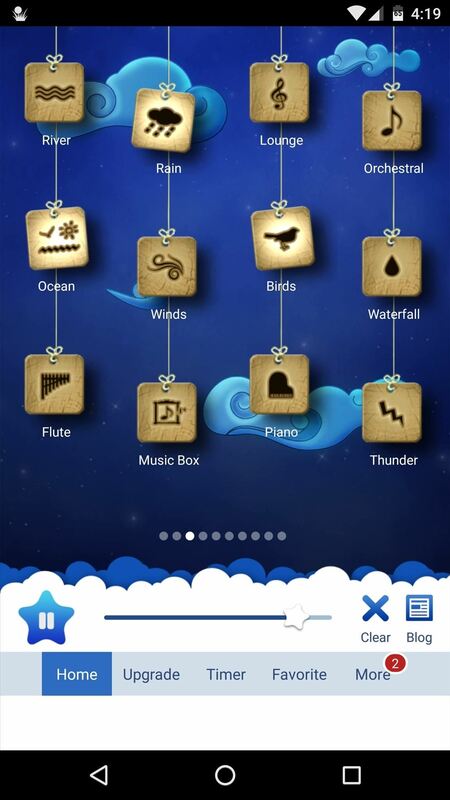 Our favorite such app is called Relax Melodies, and it's available for free on the Google Play Store. There are pages upon pages of white noise samples that you can choose from, and each will loop endlessly as you sleep. You can even combine multiple white noise samples to create a soothing environment of sorts, but some sounds—like most of the binaural beats—require the $2.99 pro version to unlock. Personally, I prefer a soft and soothing song to random white noise when it comes time to power down for the night. The only problem with this approach, though, is that your playlist will continue cranking out the tunes indefinitely, which might cause you to wake up when you hit your lightest sleep cycle of the night. The easiest way we've found to get around this issue is to install an app called Sleep Timer (Turn music off). 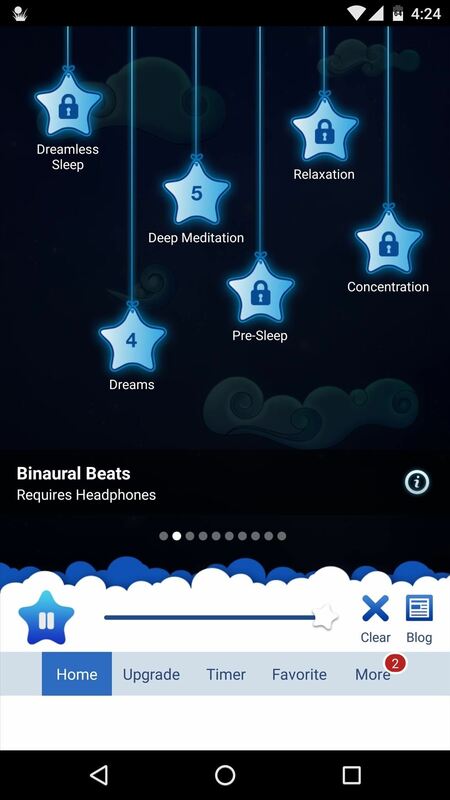 As the name would suggest, the app turns your music off after a pre-set period of time, allowing you to fall asleep to your favorite music and stay asleep all night. It's relatively easy to get the app up and running, and it works with most popular music players. But once you've got the app installed, be sure to check out our full setup guide to see how you can get everything working exactly the way you want it. If you have small children, a fear of the dark can keep everyone in the household up at night. Imaginations run wild when there's no light to offer evidence to the contrary, so scary monsters are often created in this environment. While it's a bit of a novelty, an app called Monster Scanner from developer Savity can be of great help in these situations. Of course it can't actually scan for monsters, but it can definitely help with your child's peace of mind. The app turns on your LED flash and makes some reassuring mechanical noises while "scanning" the environments for monsters. 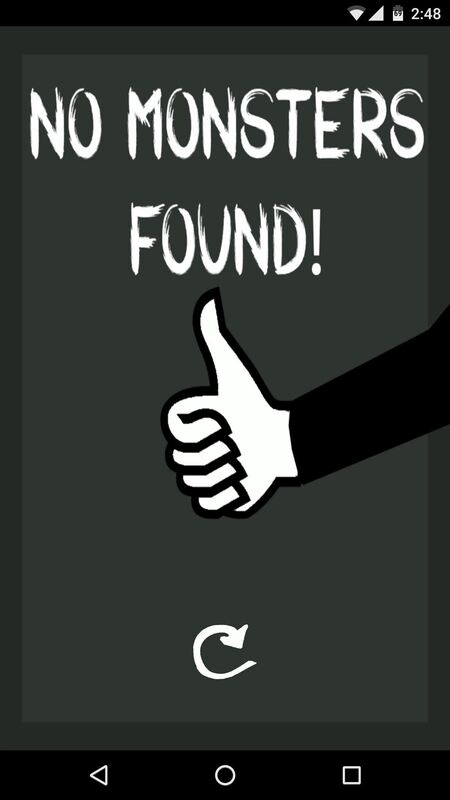 When your little one is satisfied that you've scanned every nook and cranny, simply tap the screen, and you'll get a report that states no monsters are present. 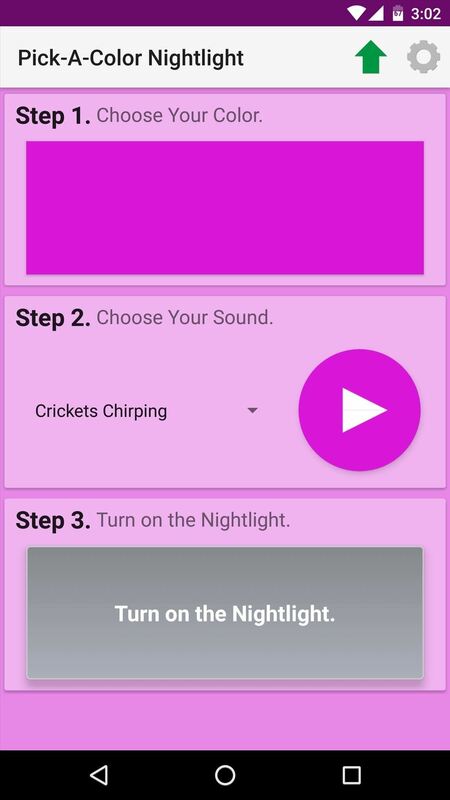 If you'd rather take a preventative approach and ensure that no monsters are conjured up by your child's imagination in the first place, a simple night light app should do the trick. There are many of these on the Google Play Store, but the one we liked the best is simply called Night Light and was created by Colorworks Apps. 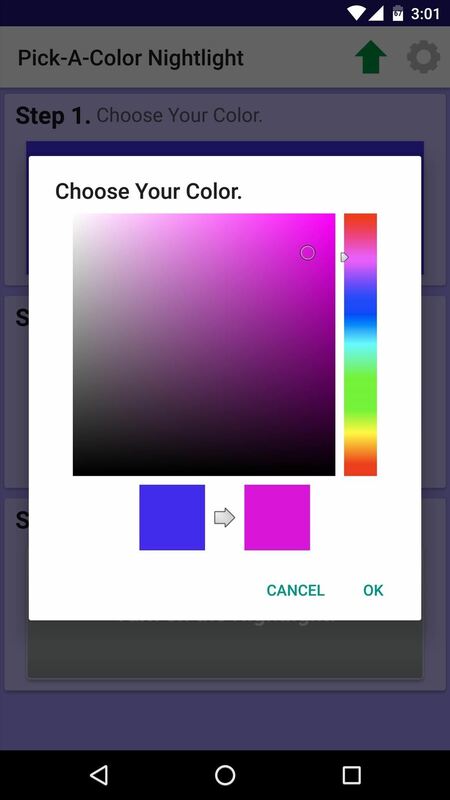 To try it out, simply choose any color for your night light using the full RGB color picker, then you can even select a soothing white noise to play while the app is running. From there, prop the device up on a nightstand and tap "Turn on the nightlight," then get ready for a restful night's sleep free of any bogeymen. 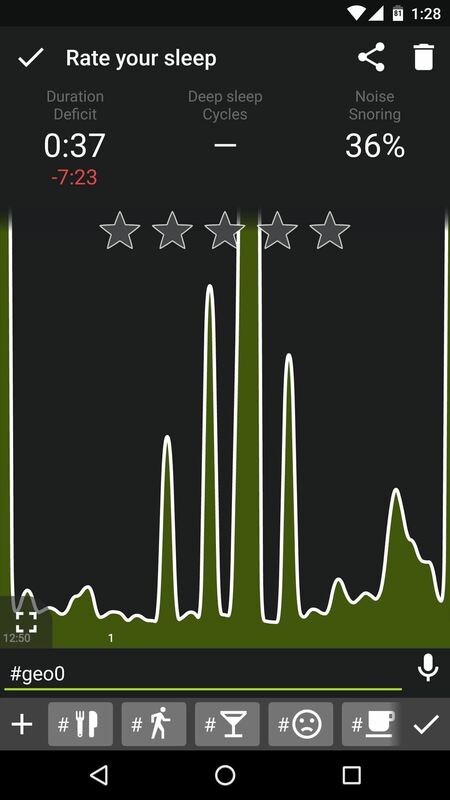 How have you used your Android device to get a better night's sleep? Let us know in the comment section below, or drop us a line on Android Hacks' Facebook or Twitter, or Gadget Hacks' Facebook, Google+, or Twitter. How can you miss the best Relax sleep App...Moodify Relax Melody....it's the best App and was really hoping to see that in this list...it's really helping my insomania and helping me sleep better at night. Enjoyed the possibilities presented in this article and plan to try them out. Thanks!